This product is handmade with processes of forming, drying for several days, coloring and water repellance. 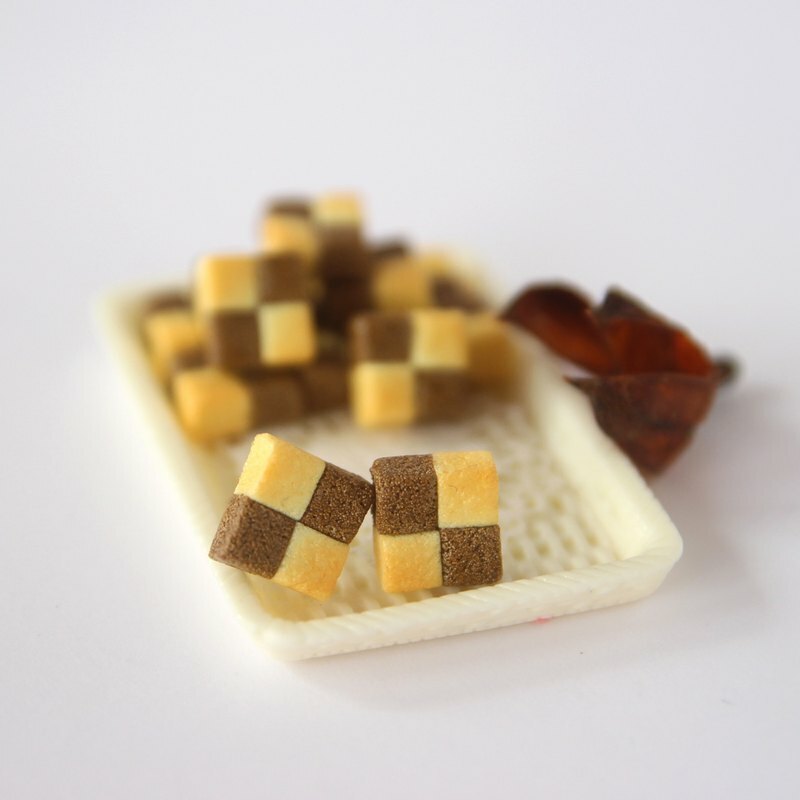 ❖❖IveeRiv- Mini Chessboard cookies -Chocolate flavor❖❖ This product is handmade with processes of forming, drying for several days, coloring and water repellance. ❖Product size Chessboard cookie：9mm±1mm ❖Material Clay ❖Optional earring styles(Please see the last photo) ◆Studs with butterfly earring backs: Stainless steel. 0.7 mm pin thickness ◆Silicon clip of Non-pierced earrings ->->With additional purchase below, we will replace stainless steel with sterling silver 925 for Studs earrings. https://www.pinkoi.com/product/9nxd2KL4 ❖Care instructions ◆Stay dry. Please avoid wearing or taking products when having a shower/bath/SPA, swimming.. ◆Please do not press products with force. Please avoid direct heat/sunlight. ◆To avoid metal oxidation, when not using products, gently wipe dirt off with a dry cloth and store them in plastic zipper bags. ◆If products are exposed to water accidentally, please dry it with a dry cloth immediately. ◆Cleaning way: Please do not wash products. Clean with dry clothes or soft brushes. ❖Package We provide a simple package include a transparent plastic bag, a plastic zipper bags for storing the product and a care instructions card. ❖❖Notices before order❖❖ ◆The product is handmade, so slight variations in size/colors are to be expected. ◆Please allow for slight variation in colors as displayed on different devices and screens. Actual colors may vary. ◆Some customers may be allergic to certain kind of metal materials. If you are unsure about this. Please do not place an order. Returns/exchanges will not be accepted because of possible hygiene reasons. ◆If any questions, please send us message. ❖ For other notices please read the shop's" sales policy"